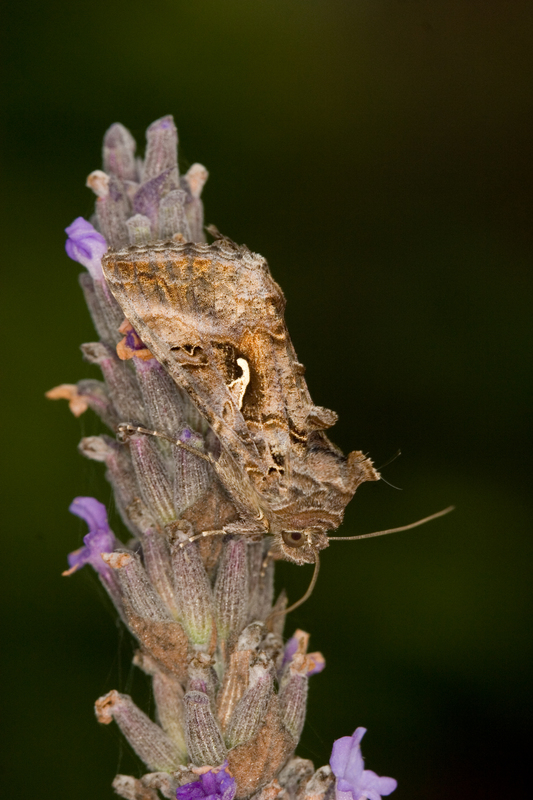 This common and migratory moth is easily recognized by its inverted silvery-white y-shaped marking in the middle of the greyish forewing. Two, sometimes three broods in the South, usually April to October but has been recorded in every month of the year. Bedstraws, Clovers, Nettles, Peas, Cabbages, Runner Beans.